With many-a-fast-food-chain looking to offer value at the $4 and $5 price points, Sonic joins in the fray with the introduction of the new $5 Sonic Boom Box deal. 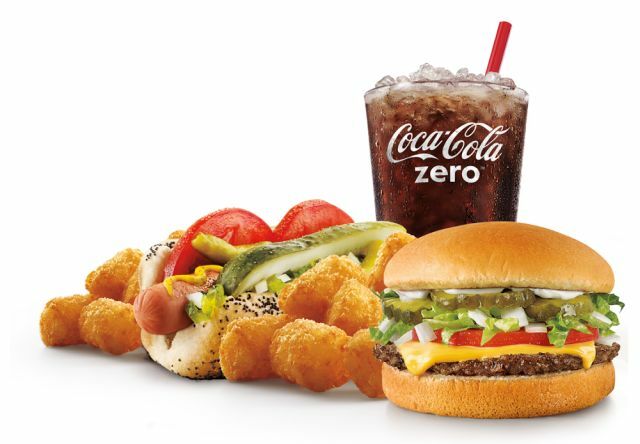 The $5 meal includes a choice of any 6-inch Hot Dog, including the recently-introduced Bacon Lovers Chili Cheese Coneys, plus a Jr. Deluxe Cheeseburger, medium Tots or fries, and a medium drink. It compares favorably with the recent 4 for $4 and 5 for $4 specials that rival burger chains are running. The $5 Sonic Boom Box is available for a limited time.